Discover Gozo’s colourful underwater scenery with our experienced and professional Gozo scuba diving partner located right across the promenade in Xlendi Bay. 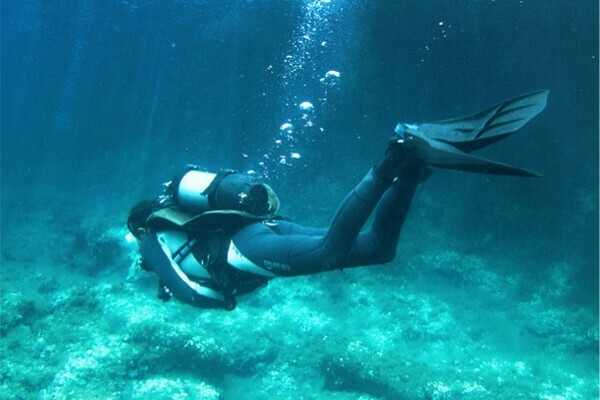 While Gozo Malta is renowned being one of the best holiday destinations for Scuba Diving worldwide, the comprehensive training facilities, great quality diving equipment rental and the variety of PADI diving courses offered by the multilingual team is truly fabulous. If you are looking for accompanied diving trips such as wreck diving, cave diving or tunnel and reef diving around the Maltese Islands, trust our reliable fun team of dive experts and benefit from the purpose built dive boat and great offers on equipment by reputable dive brands. Dive in the blue with us nearly all year around.